The Planning Commission, on January 11, 2018, adopted a policy regarding the recognition of plans. This policy exists to clarify the difference between City-managed plans and Community-managed plans. You can read more about it here. 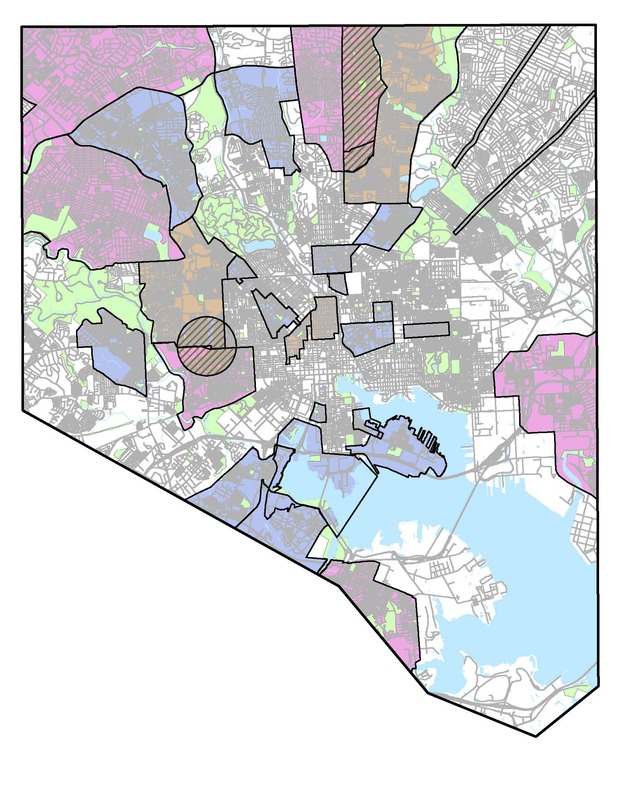 In 2006, The Department of Planning developed a new Comprehensive Master Plan for Baltimore City to direct economic growth and quality of life initiatives for the next 10 years. The Plan looks closely at how Baltimoreans LIVE, EARN, PLAY, and LEARN, and the future progress we can make in each area. Baltimore is a city of neighborhoods, and therefore we have many neighborhood and area plans. Click here to view a list of plans. An Urban Renewal Plan (URP) is a form of overlay zoning that is more restrictive than the city’s zoning code. Urban Renewal Plans in Baltimore date back to the late 1960’s and regulate specific geographies ranging from small business districts to entire communities. Click here to learn more and view a list of plans. In addition to neighborhood plans, we have many other types of plans, including park master plans, sustainability plans, transportation plans, and other policy documents.